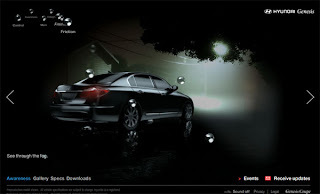 The Auto Marketing Blog: Hyundai's Phaeton? Unfortunately, for Hyundai, performance numbers or amenities don’t sway luxury buyers as much as image, according to Tom Libby of JD Power’s Power Information Network. It’s the attempt of a brand to redefine itself as luxury that really is a major hurdle. Volkswagen undertook one recent example when Ferdinand Piëch tried to remake VW into a luxury brand by going up market with some of its product decisions. Of course, the VW example is an odd one since VW already has Audi as a luxury brand; that aside, VW looked to stretch its brand image most notably through it’s introduction of the Phaeton vehicle. Like the Hyundai Genesis, the Phaeton was a singular product designed to take VW into luxury territory. Perhaps no Volkswagen model more embodies the company’s odd product strategy over the last decade more than the $75,000-$90,000 Phaeton sedan. The car, which VW chairman Ferdinand Piech developed to go up against the Mercedes S Class and BMW 7 Series, has been a flop in Europe and was discontinued in the U.S. But why was it a flop? Most of the issues VW had with launch had to do with convincing the automotive press that this was a serious contender to BMW and Mercedes. Hyundai is having a similar up hill climb getting the press to see the Genesis as a contender to Lexus, BMW, and Mercedes. Product strategy contends with the brand shift by throwing all available luxury gadgets, better interior materials, and overall improved fit and finish as the brand moves up market. Even with all the extra goodies at a competitive price point the Phaeton failed and mainly because the dealer network and prominent VW badge sank the strategy. Dealers had troubles meeting the needs of a luxury consumer who had higher expectations of customer service than a Jetta owner. Hyundai is sure to suffer a similar issue. Luxury dealerships have become places to enjoy your time at. When I bring my wife’s Lexus in for service I am offered a cappuccino, free WiFi, and sit in a leather seat near a hearth fireplace. Somehow I doubt Hyundai will be upgrading their dealerships to cater to a luxury consumer. Right or not, luxury consumers expect special treatment from their brands, which is all part of why they are willing to spend more. The badge issue is an interesting one as it pertains to Hyundai. Part of Hyundai’s move up market has included a redesigned grille that has removed the Hyundai logo from only the Genesis and replaced it by a flowing chrome look reminiscent of a Mercedes. There is no doubt that the logo removal is there to remove consumers from their biases of Hyundai. VW’s Phaeton had a prominent VW badge in front and was often noted by journalist as a hampering issue for the vehicle to go up market when parked next to a sea of German luxury cars. Hyundai has recognized the issue and is addressing it in a stealth way; they know their logo isn’t helping any luxury perception of their brand. So, how about the website? While I keep hearing Green is the new Black, apparently, Hyundai didn’t get the message and went with a very traditional black is luxury web presence. “It’s beauty through functionality,” says the cliché deep-voiced narrator. The site communicates vehicle features through brief one or two sentence statements. There is no direct language about the car being a luxury vehicle; instead, Hyundai tries to communicate luxury through stylized content areas, comparisons to luxury makes (Mercedes to be exact), water motifs, images are uncluttered, and sound is similar to a lobby at the W Hotel. The Genesis events section of the site shows some nice extensions to the experiential activities going on to launch the car. There is a tour, videos from the tour with consumers showing their surprise about the vehicle’s luxury elements, and there is a Genesis Discovery Challenge quiz that quizzes one’s knowledge of opulent tastes and vehicle attributes by mixing cultural questions with Hyundai Genesis. It is an interesting challenge for Hyundai and they may have an edge over the failings of the Phaeton since the Phaeton was in the $70k price point while the Genesis is a more palpable $30-$40k car. But even a thrifty luxury buyer still wants prestige and convincing consumers Hyundai is an image brand is not an easy task. Personally, I feel Hyundai should’ve taken the new grille and started a luxury brand similar to the success of Lexus, Acura and Infiniti. There Hyundai could start fresh and come to market with a couple starter vehicles to build their luxury voice from instead of having to show the Genesis along side a Hyundai Accent.